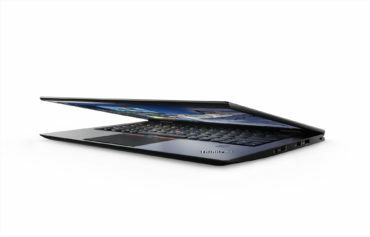 Starting at just 2.6 lbs (1.18 kg), the new X1 Carbon is the lightest 14-inch business Ultrabook™ on the planet. And at just 0.65 inch (16.5 mm) thin, it's extremely portable. Ultrathin. Ultralight. Ultratough. For the average Ultrabook™ these attributes may sound like a contradiction. But the new X1 Carbon is far above average. It features a carbon-fiber reinforced chassis and passes durability tests in extreme environments. 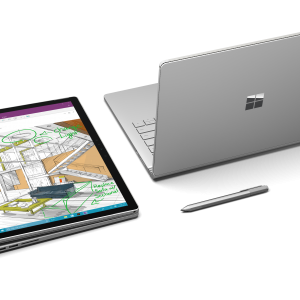 Plus, it delivers more than all-day battery life, includes faster, more powerful storage performance, and has innovative docking options available, including wireless. Rugged, powerful, and astonishingly compact. 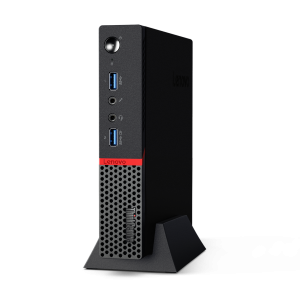 The 1L ThinkCentre M700 Tiny desktop is MIL-SPEC tested, so it can handle tough treatment, including dusty environments. And while it boasts cutting edge features, it’s small enough to be deployed anywhere. Sketch, paint, and draw on the brilliant 28” PixelSense™ Display. 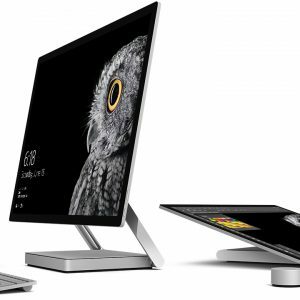 Innovative Zero-Gravity Hinge lets you work upright in Desktop Mode or down in Studio Mode, moving the display effortlessly with one hand. Collaborate and share work with teammates. Run professional-grade software. Log in with facial recognition technology. Copyright © 2018 Teknologik Inc.